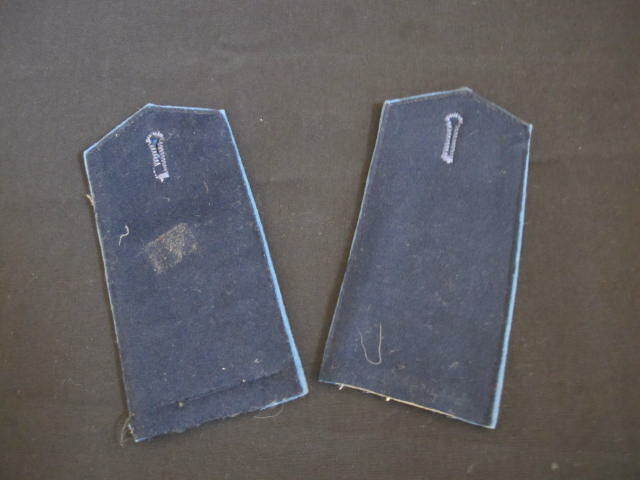 Imperial German Other Ranks shoulder boards. 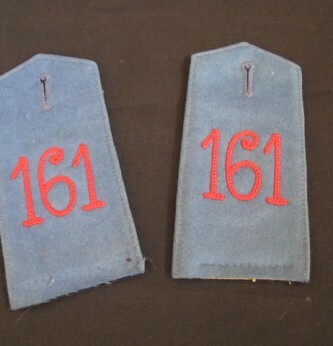 Blue cloth with red chain stitched numbering of the 161st Regiment. 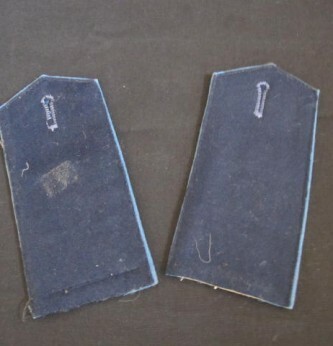 Nice matched pair in good overall condition. 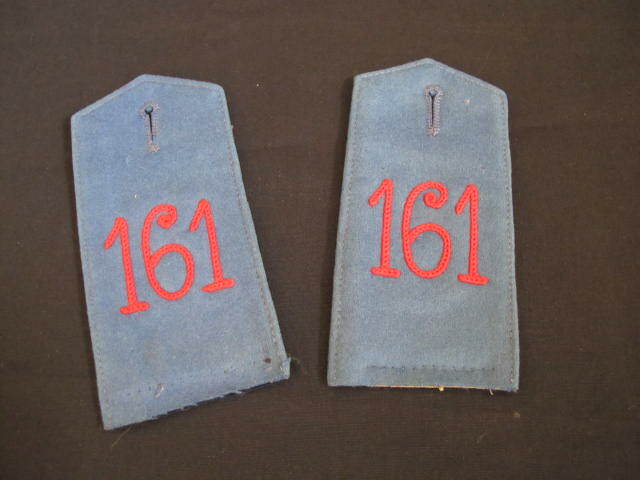 Uniform removed examples.